Most "neutral" henna is not actually obtained from the henna plant (Lawsonia inermis), but is actually Cassia obovata, which is an herb known as senna. Ours, however, is a mixture of true henna and powdered lichen. Neutral henna leaf powder is suitable for all hair types and will not produce any color change, but it will condition, add shine and protect hair from the elements. storage tips Store in an airtight container in a dark, cool, place. appearance & aroma Fine beige-greenish powder. cosmetic Use as a hair treatment to improve texture and enhance color and shine. safety Do not use on broken skin. May cause allergic reaction in some people. Do not use henna if you have G6PD deficiency. Henna has been used for body art and natural hair coloring for many centuries in India, Morocco and throughout the Middle East and North Africa. It is produced from the powdered leaf of Lawsonia inermis, a small tree distributed throughout tropical and subtropical regions of Asia, Africa, Australia and New Zealand. In some of these regions, the flowering shrub is also known as the mignonette tree and the Egyptian privet. Powdered henna yields various shades of red to hair, depending on how it is processed and applied. To create different colors, including black and blonde, henna is blended with other powdered herbs. 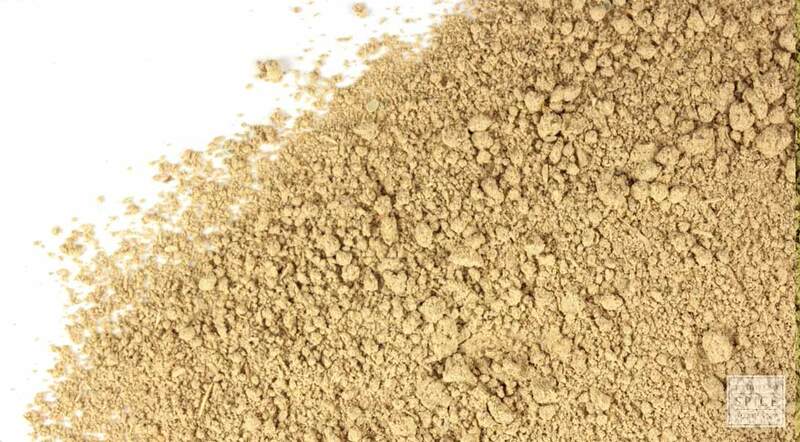 Our neutral henna powder is a blend of Lawsonia inermis (95%) and lichen (5%). Background: Henna as been used in ritual, ceremony and celebration for many centuries in India, Morocco, and throughout the Middle East and North Africa. The various diasporas have resulted in an increase in these and other uses henna, particularly in the last two centuries. Used for body art and hair dye since the Bronze Age. The name henna has its origin in the Arabic name for the plant. Henna, as Camphire, is mentioned in the Song of Songs and Song of Solomon. Description: This plant is so widely distributed throughout the Earth's tropical, subtropical, and also, semi-arid regions that its origin is not clear. Henna is a tall shrub or small tree growing to 20 feet in height. Its glabrous branches are spine tipped. Opposing leaves are entire, glabrous, elliptical, wide and lanceolate. Flowers have 4 sepals, a 2 mm calyx tube with 3 mm spread lobes. Petals are obvate, with white or red stamens inserted in pairs on the rim of the calyx tube. Fruits are small, brownish capsules, 32–49 seeds per fruit, opening irregularly into four splits. The leaf, dried, powdered, is applied as a rehydrated paste to various surfaces. Henna for hair: A paste or batter-like mixture, made of hot water and henna powder, is applied to dry hair. Beginning with the top of the head, comb into and through the full length of the hair. Wrap with fabric or plastic to contain and extend the effectiveness of the application. 40 minutes to one hour is usually sufficient to impart the effects. Henna provides a thickening, conditioning to hair, and may provide some UV protection. Immediately upon application, cleanse unwanted henna from facial, neck and any other skin. Protection of hands, clothing, etc. is suggested. Rubber gloves are suitable for hands. After treatment, wash and thoroughly rinse to remove all henna from hair. Henna for other ornamentation: A more fluid paste of henna is prepared and applied to skin for temporary coloring. This may last for up to 3 weeks and can be lightened or removed with hydrogen peroxide or lemon juice. CAUTION: Use of henna may prove unsafe for those with G6PD deficiency. G6PD deficiency is genetic. Often symptomless, G-6-PD is a deficiency of glucose-6-phosphate dehydrogenase, an enzyme necessary for red blood cell function. Persons of Mediterranean heritage are among those most commonly affected. Exposure to antimalarial drugs and agents, sulfonamides (antibiotic), nonsteroidal anti-inflammatory drugs, nitrofurantoin, naphthalene or para-dichlorobenzene (in mothballs), quinidin, quinine, and lawsonia, the active constituent in henna, may trigger acute hemolytic anemia or the more serious chronic condition, spherocytic anemia, in those with the deficiency. Safety: Do not use on broken skin.